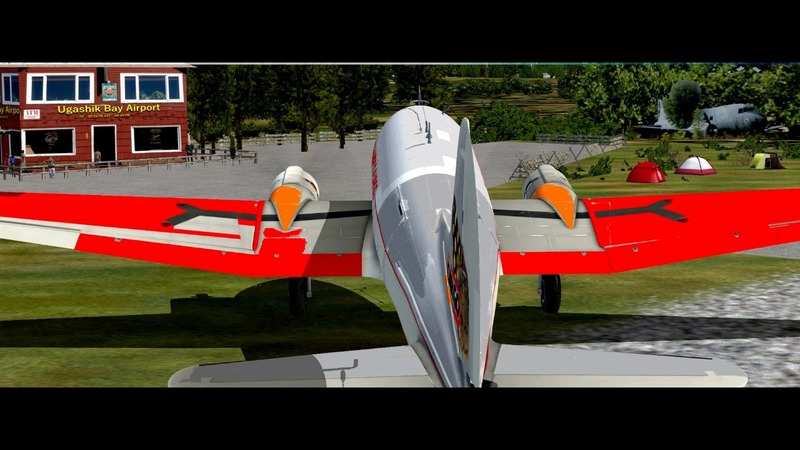 Just Flight has recently developed a wonderful model of the famous C-46 and here is a flight tour designed to give FSX pilots the opportunity to get to really know this great plane. You can, of course, fly to the 18 included airports and airfields in this model or any other freeware or payware version! These 18 airports/airfields will give the pilot a complete tour with this plane for many weeks as well as providing wonderful RCS 'SIGHTLY' scenery airfields at which to arrive. You'll fly over many different countries as well as over many dangerous landscapes. Many airports have night lightning which gives you the opportunity to fly at night into unknown destinations under all kinds of weather conditions. We think this the most complete bundle of airports/airfields specially assembled and updated for the great C-46 Commando. Many custom static objects in the scenery - airport buildings etc. 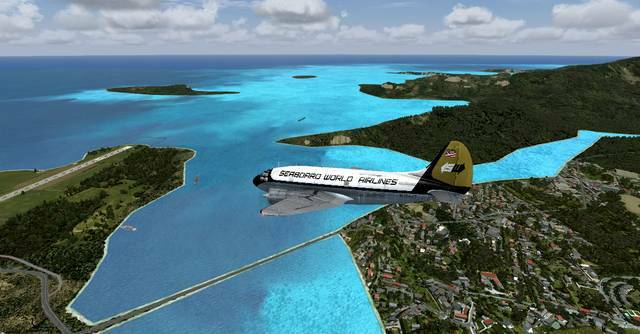 These flight adventures developed for the Just Flight C-46 will take you on a tour of 18 included airports/airfields in a variety of countries ranging from Alaska to Australia and Canada to Chile. A map of each airport is included, along with four textures for the Just Flight C-46 and two for freeware aircraft, high resolution day and night textures, custom static objects and appropriate vegetation for each location. 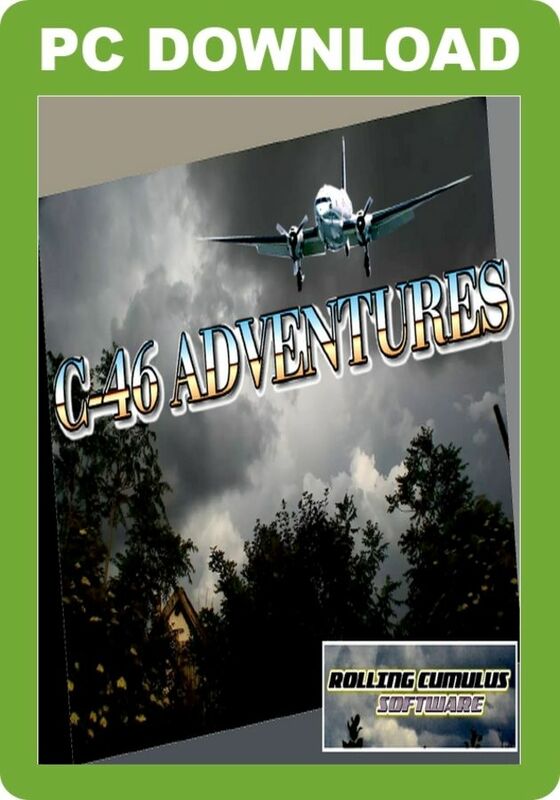 These adventures are designed for the Just Flight C-46!